I spent a considerable amount to time dealing with the people who wanted the dog collars as well as working on the collars. This morning, I cut all of them out – it took 90 minutes to cut the fabric, lining, and interior of all of them – 15 collars and 12 leashes. Then I started sewing the leashes as they were fairly easy. The machine was not cooperative as it really needs to be serviced. I gave up and called these people to tell them what the situation was. Then I “kitted up” each collar with the accessories so that whoever when from here had part of the work done. I am so glad I stopped when I did for the following reasons.
. I didn’t have the time to keep them informed on a daily basis. The fabric had at some time come in contact with a smoker. I didn’t need ulcers over something I was doing to help someone. Yes, they were unhappy their collars weren’t finished today and didn’t even bother with thanking us for the two finished. But they did ask that when my machine was fixed, would I do collars and embroidery then. I just told them, I couldn’t make promises for the future and we went our way feeling it was a good decision. We stopped at the tomato place and picked up two more peppers and two more tomatoes. Then we purchased some sheep feed and came home. For the first time our new mommy brought her babies up from where she keeps them at night to introduce them to the rest of the flock. She has been missing and we feared the coyotes had eaten her. 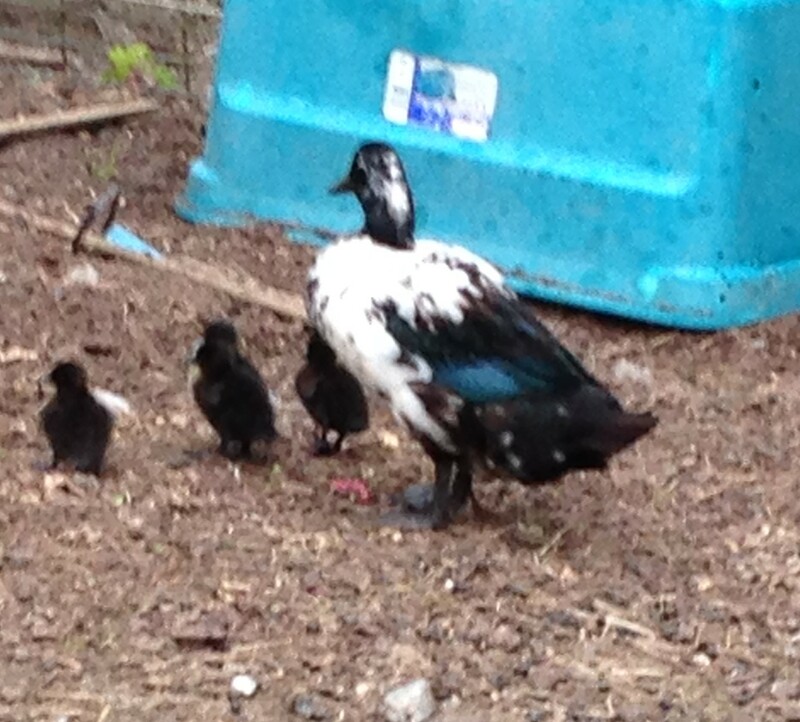 But the last 3 days she has had these little fellows on the pond. If you look carefully, the one in the middle has 2 heads, making a total of 4 babies. Spring is such fun!